We are very excited to partner with Thordarson farms in adding this amazing male to our herdsire row! Thank you for this opportunity Highland Alpaca! This boy is maintaining his fineness into his 5th year and beyond! At 5 years, 21.4 microns, rare for a grey! We are committed to keeping our breeding fees affordable for the smaller farm. Therefore our customers are able to enjoy much lower fees than that which are normally available, yet still get top quality breedings. 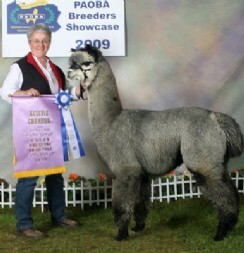 Mercuree herself won the Color Champion banner as a juvenile in one of her first shows. She went on to place in the top three at two other Level 5 shows. She is a great female for both the new owner or the experienced breeder. This is a foundation girl with a long production potential ahead of her. 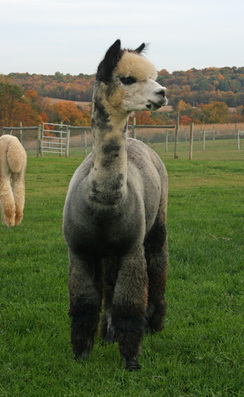 Mercuree has also had an amazing male cria from Marathon's Thor. Half-Accoyo, Marathon is a Color Champion himself. Mercuree is without any doubt a great asset to any color program. 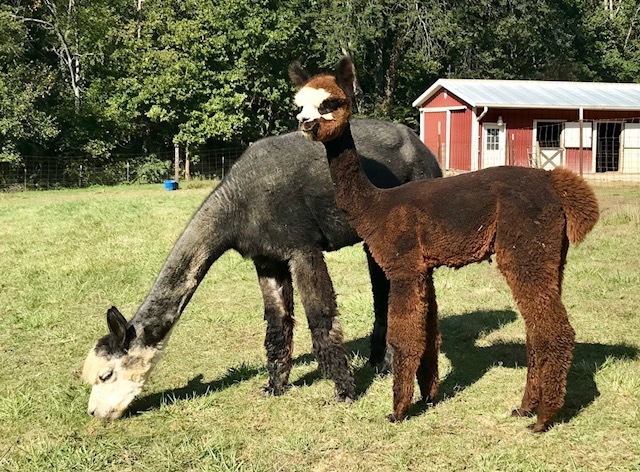 She is a proven mother and is passing on her great traits to her crias as well. Update: 6/26/2018 - Mercuree delivered a Dark Silver Grey Female this morning, found her up and already nursing. More to come! 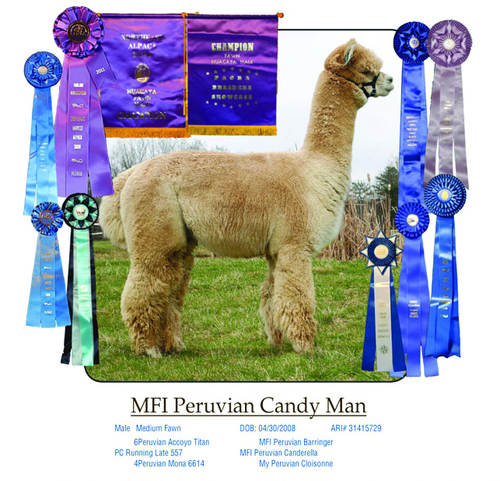 We have rebred Mercuree to MFI Peruvian Candy Man for a Fall 2019 cria! Candyman has been producing amazing champion-winning offspring, especially in grey! 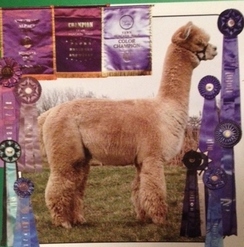 His son KVR's Peruvian True Eye Candy (aka Ike), now owned by Delphi Alpacas, is a multiple banner winner/Judges choice winner and Futurity winner! The Casanova/Candyman cross has proven to be successful. We are excited to see what we produce this time!